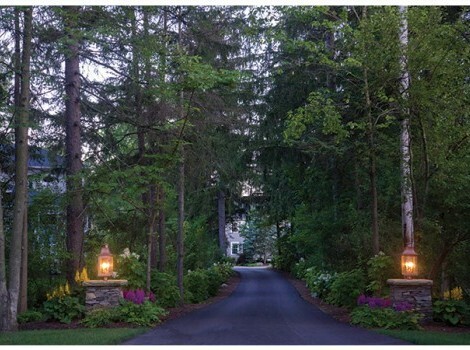 KGK Project Details: Site Design, Landscape Design & Construction, Front Entry, Patios & Walkways, Planting & Perennial Gardens, Custom Woodworking, Outdoor Lighting, Waterfeature, Stormwater Management, Seasonal Property Management. 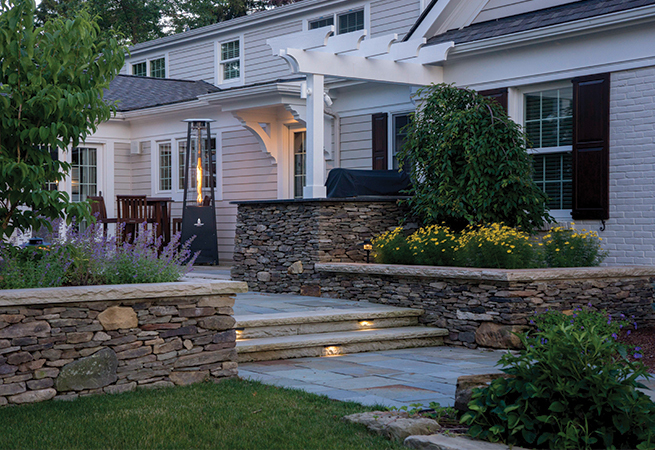 Site-sourced barnstone, customer woodworking, bar and grill area. 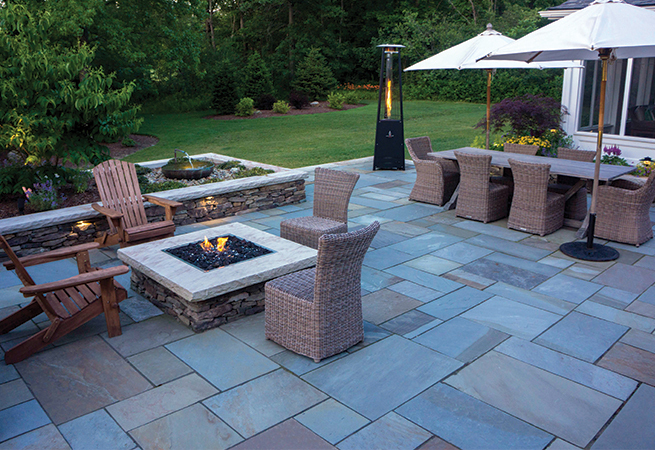 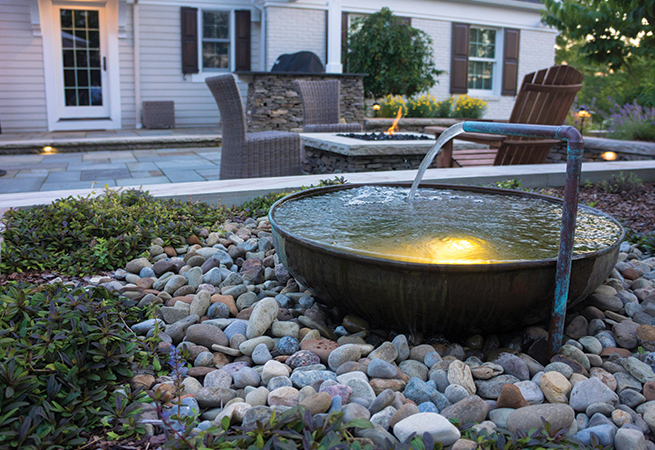 The full color range of bluestone patio, raised planter, and dry-laid fieldstone walls. 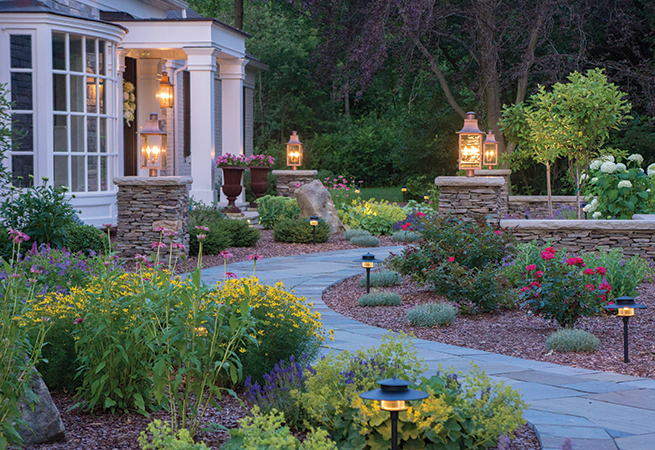 Dry stacked fieldstone columns, bluestone walkway and plantings.